How Internal Linking of Blog Posts can Boost Your Page Rank? Every blogger, in the end, wants high page ranking and the ranking of the page depends upon many factors. From the focus keyword to linking the articles or taking the traffic juice, there are many factors which can have a serious impact on the page ranking. Yes, people give major importance to keywords and tend to give equal importance to internal linking. Though it might look very tedious task in starting, but honestly speaking it is important. Not only, it will keep your content glued but also help in page ranking at times. Internal Linking is basically connecting two pages of the same domain to each other. In a blog post, internal links are usually provided in the form of “Anchor Text”. Anchor text is nothing but the clickable link pointing to another page of the same domain. 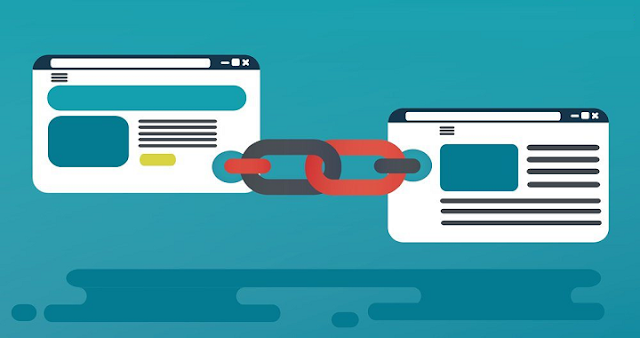 How can internal linking boost your page rank? It might sound complicated but it isn't actually. Suppose your blog post with a certain keyword in the anchored text takes you to the destination page. For example: if we talk about e-commerce website coupons and deals related to particular website like click on Zomato Offers directly take you to the best deals of the page. Now, what Google will do is that it will look at those internal links which will make it understand what keywords this particular page is targeting. When Google sees that a blog post with a particular keyword is pointing towards the same keyword used in anchor text, then Google will get to know the purpose- all the articles are related to the same keyword. It means Google will think that one keyword is providing deep content through different pages. Now, when Google takes this into the account, the page rankings will surely boost up. So, now the big question: How to Link internally? After knowing, how Google behaves under the hood when it comes to internal linking, it is time how you can plan the strategy to achieve this. SEMrush provides enough tools to do this and identify the keywords for anchor texts. Also, you can use Google to know about the scope of linking in certain articles. Identifying the bubble keywords is what one should do to create internal links. The first step when trying to get your internal linking strategy started is that you should be using to create these links. Bubble keywords are the ones which a site ranks for them which are outside the high positions on search engine results. After knowing the bubble keywords, you can find the places where you can place them on your website. It is way easier to use them in internal linking when you find the place where you can use them. You can use Google Search Operators for that. After knowing the targeted keywords for anchor text, you start putting them on your pages. Irrespective of what you are using Wordpress, Magento or Wix, the process is the same in all. Just make an anchor text and the user can get to the link- simple as that. Note that, you link related keyword to the page with that keyword. After placing the internal links in the blog or website, you can now check out the results i.e page rank boost. Swiggy, a food organization saw a huge boost in their page rankings after linking their pages internally which they never did before and provide best deals on online food orders. For example: if you click on Swiggy Promo Codes you will get discount on your order. Also, it increased the cost of traffic. Overall, this is how internal linking can provide a little boost in your page rankings. Honestly speaking most of the bloggers don't pay much attention to this technique. But, internal linking constantly can give better results in the end. Yes, it might not happen overnight and it will take time but proper work in this technique can bring you the results you desire. So, you can start working in this linking technique and your website or blog will rank high after one time.